Richer, more consistent colors and ensures both the smoothest gradations and sharpest photo graphic details. Brighter, more opaque white for bolder results. Denser, more reflective metallic silver for added impact. Virtually odorless, user friendly and nickel free. Fast drying and scratch resistant for fast, easy finishing and handling. Wide color gamut for deep reds, blues and greens. Aggressively adheres to a range of affordable uncoated media. Quick drying time for improved production speed. Wider color gamut and denser color. as low as 50% OEM ink price. No need to flush old ink. 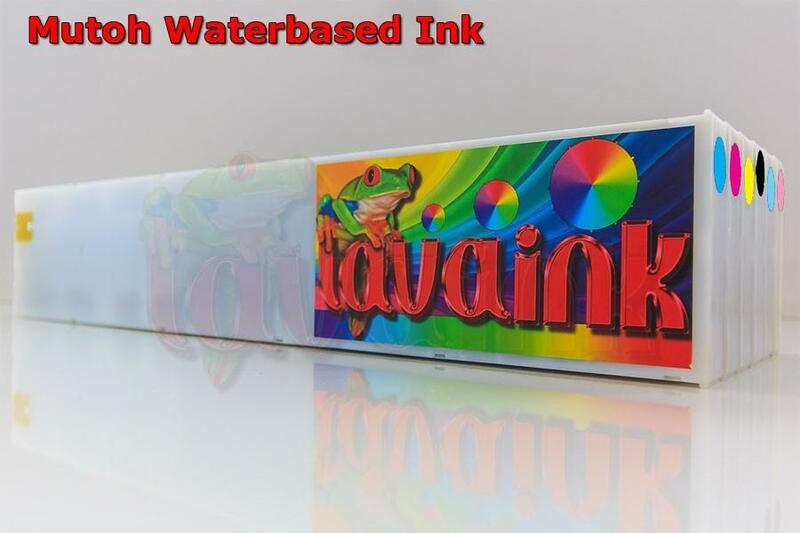 Mutoh Waterbased Ink 440ml is dries fast. a wide color gamut. rugged scratch resistance. Mutoh Waterbased Ink 440ml support for uncoated and coated media. it has three years of outdoor durability. all at a low cost per square foot. Mutoh Waterbased Ink 440ml also offers the peace of mind of GREEN GUARD certification. it is virtually odorless. it does not require any special ventilation or environmental equipment.